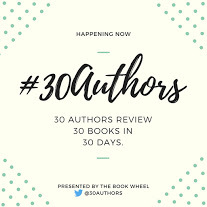 #30Authors is an event started by The Book Wheel that connects readers, bloggers, and authors. In it, 30 authors review their favorite recent reads on 30 blogs in 30 days. It takes place annually during the month of September and has been met with incredible support from and success in the literary community. It has also been turned into an anthology, which is currently available on Amazon and all author proceeds go to charity. Previous #30Authors contributors include Celeste Ng, Cynthia Bond, Brian Panowich, and M.O. Walsh. To see this year’s full line-up, visit www.thebookwheelblog.com/30authors or follow along on Twitter @30Authors. 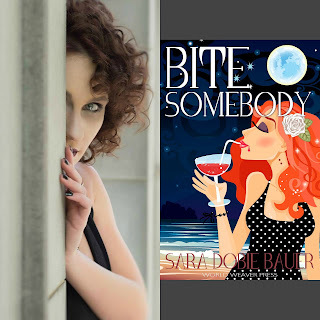 How can you possibly write a relatable book with Death as the all-knowing, unseen narrator? I admit, the first chapter or so of Markus Zusak’s The Book Thief was a bit jarring, especially (maybe even more so) once you actually figure out Death is telling the story. Soon, though, you’re sucked into the conversational tone, creepy observations, and accidental heroine of World War II Germany. Liesel Meminger doesn’t know how to read, but she learns after stealing her first book—aptly, The Grave Digger’s Handbook—and is sent away to live with a foster family where it’s expected she’ll be safe from an ever-escalating war. In her new town, she’s surrounded by Hitler Youth and is horrified when her village decides to burn books. At the bonfire, she saves one, while making unlikely friends with the mayor’s wife; a Jewish man hiding in her basement; and fellow child, Rudy, who doesn’t understand why pretending to be Jesse Owens is so offensive. Through all the violence, the fear, and the threats of living in Nazi Germany, Liesel continues to read, and she learns the power of words from her foster family’s Jewish stowaway, Max. Don’t forget about Death, because in World War II, Death was very busy indeed. What struck me first about The Book Thief was the idea that I’d never given much thought to what it was like being German in World War II. When your country—your leader—is the one spearheadiing the bloody battle, how does it feel? For Liesel, it doesn’t feel good, especially as she learns to care more and more for Max, not understanding why his religion should spell his death sentence. I wonder if Death is tired right now, with the tragedies running rampant around us. I wonder if we live once again in a world rocked by war, even if bombs aren’t falling on our heads. Yes, The Book Thief takes place in World War II Germany. Yes, it talks about Nazis and burning books, but the presence of Death makes it powerful now and always. He does walk among us, as does hate and fear—so much so that we sometimes must steal hope, love, and peace to survive. Like Liesel, we must reach out and pull these ideals from the burning pile, because although she literally stole books, she figuratively stole beautiful truths and held them close. 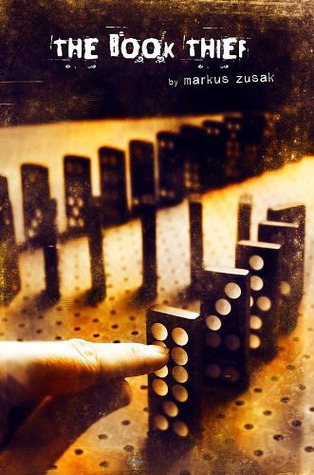 Markus Zusak convinced me that Death could be a great narrator in The Book Thief. Hope could prevail, even in war, because one little girl deemed it so. Now, today, we can be free if we stand up when pushed to the ground—if we love when others hate. Definitely one of my favourite WWII stories - book and movie. Thanks for reminding me, with this review, that it's due for a re-read. Melinda ... I still haven't seen the movie! I need to get on that! I am intrigued by books about WWII told from different viewpoints. Another favorite is Those Who Save Us by Jenna Blum. Thank you for your review! Mary C ... Thanks for another recommendation! I gotta check this one out. 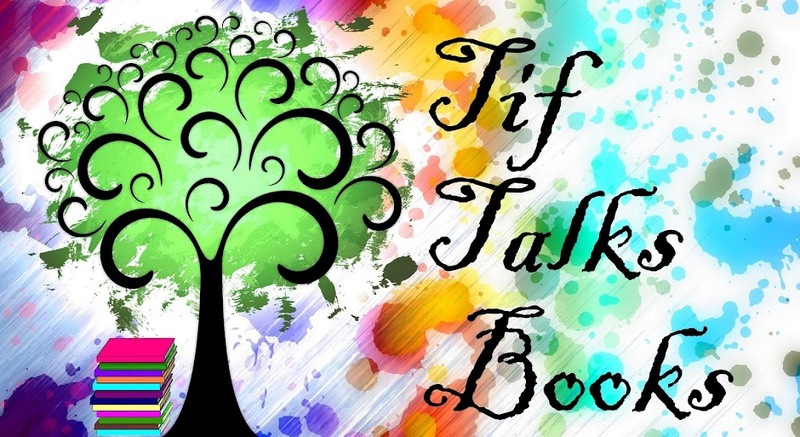 THE BOOK THIEF is amazing; one of my favorites - and a great review from Sara Dobie Bauer! Another I'd recommend with Death as a central character is THE GAME OF LOVE AND DEATH by Martha Brockenbrough. Such a stunning book! Sara|Novel Novice ... Thanks for the recommendation! And, I'm so lucky to have hosted Sara for this event! Love it! Beautifully written. Love this book too! Jenny ... Sara has a definitely talent with words!! Thank you for explaining 30 Authors. I've seen it around, but I never knew what it was. Cool! Kami ... You're welcome! It's a really fun event that I have participated in since the beginning. Definitely recommend that you follow along!! 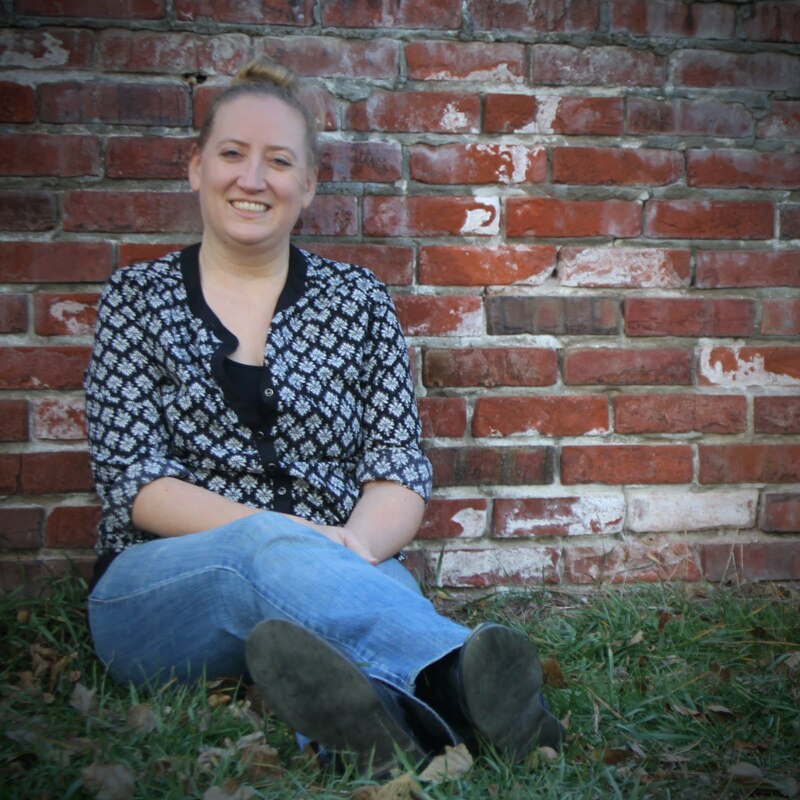 Allison @ The Book Wheel ... Definitely give it another try, and then let us know what you think!! And, thank YOU for always thinking of me. I love #30Authors! !